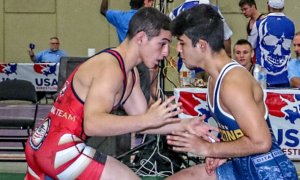 After a frustrating, if not downright heartbreaking slate of matches on Day 1 of the 2018 Cadet Greco-Roman World Championships, Team USA hoped to rebound on Day 2 by sending out five explosive athletes on the rise. While that last part is true, the bounce-back team performance everyone was counting on never came to fruition. 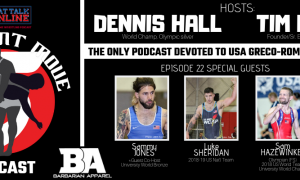 Wrestling began at 10:30am local time in Zagreb, Croatia (4:30am EST) and was broadcast live in the US on Trackwrestling.com (subscription required). As was the case with every other member of the US squad, the World Championships represented a new experience for Cale Anderson (45 kg, WI). 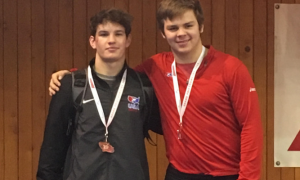 Team USA co-head coach Lucas Steldt serves as Anderson’s instructor throughout the year at the Combat Wrestling Club and the youngster has steadily improved in every facet of the sport, as evidenced by both his silver at the Tallinn Open in Estonia this past March and his victory at the Cadet Trials some 36 days ago. But unfortunately for Anderson, his bid for a finals appearance on Saturday was cut short in stunningly quick fashion. Immediately following the opening whistle, Khusankhon Yunuskhonov (UZB) scored four on a headlock. After the restart, Yunuskhonov raced back inside for a takedown and transitioned right into a gutwrench that he rolled over for an 8-0 tech. Ilias Iandarov (RUS) defeated Yunuskhonov in the 45-kilogram quarterfinals, which eliminated Anderson from possible contention in the repechage round. 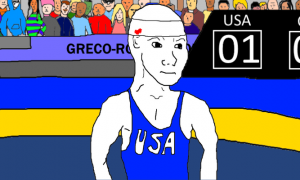 Nebraskan fireballer Jakason Burks (51 kg), one of three athletes from the Cornhusker state to compete on Saturday, gave Kazakhstan’s Merey Maulitkanov all he could handle despite what the scoreboard read at the end of their qualification-round contest. Maulitkanov was the recipient of the bout’s first passivity and converted two guts to jump ahead 5-0. But — following the second rotation, Burks scrambled and reversed to net himself a point and then he locked his own gutwrench to immediately cut the deficit to 5-3. Maulitkanov would be heard from one more time in the opening period, as he dipped in on an arm spin attempt that he used to swoop around back for a takedown. Behind 7-3 in the second, Burks certainly wasn’t out of the argument. He pushed, pulled, and in one instance, dropped levels for a look at a lane to the body. With under a minute remaining, Maulitkanov grabbed another pair of points on a correct throw to widen his lead to 9-3. Burks fought to the whistle — his offense potent enough to where six points could be made up for in a flash. But ultimately, Maulitkanov was able to steer clear of any danger the rest of the way en-route to a 9-3 victory. Laishram Meite (IN) got past Maulitkanov in the next round to put a halt on Burks’ chances at competing for a bronze. Constant movement and conviction in attempts is what Phillip Moomey (60 kg, NE) brings to the table. The 2017 Fargo National champ, one of the US program’s biggest high school prospects, entered action on Saturday as a legitimate threat to contend despite his newness to international competition. Taking on Asian Championships runner-up Shahin Badaghi Mofrad (IRI), Moomey engaged at the whistle looking to weave into his tie-ups. It was evident that he was perhaps the stronger wrestler of the two, but Mofrad still pushed forward. The Iranian was then awarded the first passive/par terre and he didn’t let it go to waste, locking Moomey up in a big side lift for a 5-0 lead heading into the second period. A step-out put Moomey in a 6-0 hole early in the conclusive frame and he needed to score. An opportunity presented itself when he clashed into Mofrad and latched a headwrap. Moomey came close to picking up exposure on the hold but Mofrad was able to stay out of danger. 6-2, Mofrad. Moomey pressed the exchanges as the bout reached its waning moments with Mofrad on the defensive, but no further scoring chances were available for the American, eventually falling by the same 6-2 score. As of press time, Moomey is still waiting on the semifinal match between Mofrad and India’s Pravesh Pravesh. Should Mofrad prevail, Moomey will then be placed in the repechage round, essentially two wins away from a bronze medal. We will update here once that result becomes available. At 71 kilograms, it was James Burks (NE) who was the first American of the morning to take the mat and he intended to make an impression on Zhenish Zhumabekov (KGZ) right away, zooming inside on a quick high-dive attempt. Zhumabekov plodded back towards the center and there was Burks again, in on a body attack. The pace was set and it was a breathless one. Zhumabekov came across with a correct throw only to have Burks reverse with a headlock. 2-2, with Burks holding criteria. He wasn’t done just yet; from top, Burks netted two more on a lift at the edge and forced a step-out to further widen his advantage and the match was barely a minute old. After the restart, Zhumabekov began his climb. He locked around the body at the line and twisted Burks down for four. This was the turning point of the match and Kyrgyzstan strolled to the break holding a 6-5 lead that he would only add to later on. A Zhumabekov takedown off of a bodylock provided him with an 8-5 cushion soon into the second period. Burks composed himself and plowed inward, but as he did, Zhumabekov seized on double underhooks and spiraled him to the tarp one more time. Scoring grinded to a halt after that. Burks wanted to will himself to come up with a late charge but he had already left it all out on the mat and on the wrong end of a 10-5 decision. Zhumabekov was downed by Petar Gornyashki (BUL) 9-1 in the round-of-16, eliminating Burks from potentially being pulled back into the tournament via repechage. 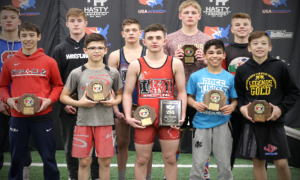 Illinois’ Jacob Kaminski (92 kg), who along with being a two-time Fargo bronze is also a highly-touted football player, was hoping to have the chance to apply some of his elite athleticism towards earning a Cadet World medal. If that should still be a goal for Kaminski, he is going to have to wait another year to see it through. Facing off with Aleksei Mileshin (RUS), Kaminski shoulder-blocked to make first contact. As per his style, he wanted to make this a bruising, physical struggle. The duo jousted with neither holding a clear advantage. Even still, Kaminski was knocked for passive first and it delivered his reckoning. Mileshin clamped around on a gutwrench; rolled; stepped up to land a four-point side lift; and then performed one more turn to send Kaminski into the repechage waiting game. Like Moomey, Kaminski’s fate will be determined by whether or not Mileshin can advance to the finals. 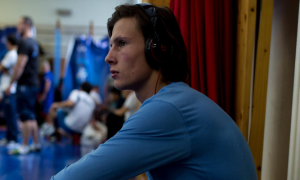 The Russian is set to square off against Richard Karelson (EST) and that match, along with the entirety of the Cadet World Championships, will be viewable on Trackwrestling.com starting at 11:30 am EST. On Sunday, Moomey will go up against Vladislav Karasev (RUS) and Kaminsky takes on Davyd Samsonov (UKR). Moomey needs three wins to attain a bronze medal; Kaminski requires two. The repechage round will begin at 9:00am local time (3:00am EST).